A fun use of the city's glass towers. Those of us queuing to see the award winning garden (see yesterdays post) where entertained by the abseilers on an adjacent building. A fun discussion ensued as to who would be brave enough to give it a go. This was really challenged when one of the organisers came over and attempted to entice us into taking part. It was all of a good cause she encouraged. great shot. the last one is fantastic. There was an event like this here yesterday benefiting Easter Seals. I'd have enjoyed doing it. Excellent captures! Abseiling always looks such fun. I'd love to try it . . . I think . . . Fantastic photos of something I won't ever try. I could never do this ... but your photo's are great! 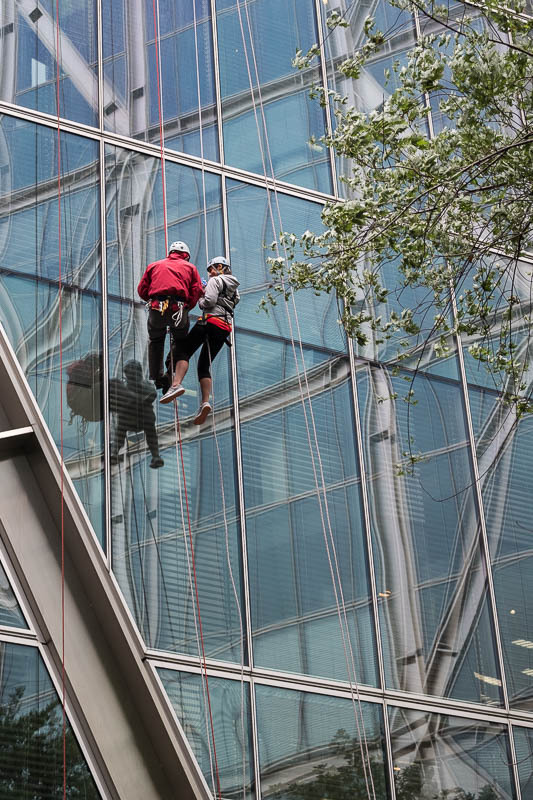 I have seen this done as part of fund-raising for charities, but I don't like heights and would prefer to drink cyanide.